Roof Armor Technique does not require rinsing and annual shingle care using the roof armor technique will prevent roof stains from forming. For use on a Just Cleaned roof or as routine shingle care for an unstained roof. Keep Roof Mold and Black Algae from overgrowing your shingle, tile or shake roof in one annual application. Safe and Simple roof shingle shield and preventative , roof armor is applied from the end of a hose, and requires no rinsing. Just that easy, spray and forget until the same time next year! Roof Armor is safe for plants, pets, painted surfaces and ensures ongoing peace-of-mind that you’ll never need to use the roof cleaner again. 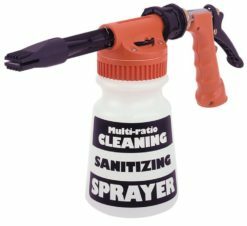 Apply using a Hose End Sprayer or Roof Cleaning Equipment – PRO Applicator. Roof Armor packaging saves on shipping costs, by using a concentrated liquid formula, 1 container covers 6000 sq ft of Roof Shingles. Once finished cleaning your shingle roof, keep roof mold under control when you shield shingles from roof stains using Roof ARMOR. 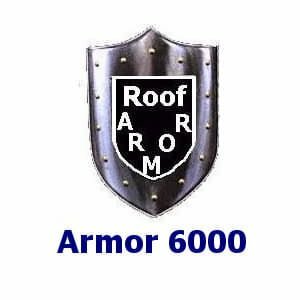 Do I need Roof Armor Protectant? Roof OX and Roof QSE all contain powerful cleaners, and surfactants that will remove visible roof mold and algae stains. Roof Armor Protectant is designed to be used on a clean roof, to prevent the return of visible stains. How does the Roof Armor Technique work? To understand how the Roof Armor Technique works to prevent roof stains we need to consider what makes up roof stains. Roof Stains are actually huge colonies of Algae, Lichen, Moss, mildew and mold, typically over 1 million algae cells. The algae colony is so large that it becomes visible from the ground. A good way to consider this is the lights we can see at night from an airplane. New York city is very visible at night because it has millions of lights, where as Euharlee, Georgia won’t be seen because there are so few lights. The algae colony is similar. When the roof algae colony is growing there are not enough algae to be seen from the ground. But between 15 and 24 months the colony becomes large enough to be seen from the ground, and we call it a roof stain. When you clean your roof, you are removing the algae colony and all of the built up roof algae thus restoring your roof to a ‘clean’ condition. But shortly after you clean, the wind and animals can spread the algae back onto your roof, where it will once again start to grow from 1 cell, into 2 cells into 4 cells, then 8 , 16 and on until the colony once again becomes large. The growth of the colony will take more than 15 months. The roof armor technique uses a once-a-year application of a roof mold cleaner that will wipe out the growing algae colony returning the roof back to a ‘clean’ condition every 12 months, which never gives the colony time to grow to “roof stain” size. Because there is no visible roof stain (the colony is too small) there is no need to rinse the roof armor cleaner from the roof. interruption strategy because it interrupts the roof mold and algea colony’s growth. How is Roof Armor applied? Roof Armor Preventative is applied to a CLEAN roof. Safe for use twice a year in stain prone areas. Roof Armor 6000 Protectant makes 40 gallons of shingle stain prevention. When should Roof Armor be applied? Roof Armor can be applied anytime from the day you clean your roof through 12 months after roof cleaning. 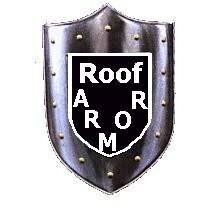 The key to using roof armor is that it be applied every year after the initial application. By using the Roof Armor technique you can prevent the appearance of roof stains by making preventing algae, mold and mildew colonies from becoming large enough to be seen from the ground (typically called a roof stain). Roof Armor Treatment is powered by MoldSTAT Plus..
MoldSTAT Plus is an EPA registered mold remover which wipes out the roof algae colony so that it can never grow large enough to be visible. Mix with water, spray on, walk away. Then rinse off roof fungus and roof algae. Effective on Asphalt, Tile or Metal roofs.